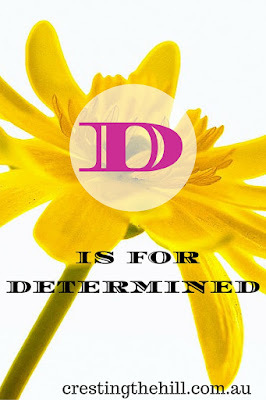 Next letter up for the A-Z challenge of Positive Personality Traits is D - and D is for Determined. Nobody wants to be a wishy-washy soul vacillating between every new idea or opinion that comes their way. Weak and watery people are easily influenced and find it difficult to own an opinion on almost anything. Being determined is the opposite to this. It's not about being bossy or aggressive, it's about knowing your own mind, what your believe in, and what your principles are. It's standing firm in the face of opposition. It's being true to your core values and willing to stand up for them rather than being swayed by the loudest voice. Determined people "walk their talk" they don't say they stand for something and then run for cover as soon as that idea is challenged. They take the time to know what they believe and are willing to consider the opinion of others without necessarily changing their own. I can have the utmost respect for someone who has a valid argument for what they believe - even if it is totally opposite to my point of view. I don't have to agree with them, I don't have to compromise my beliefs just because someone has a loud voice or a group rallying to their cause. I can listen but still determine to stay true to my own values. Determination helps you hold fast in the storm, it means that your heart and your head are in the same place and you are willing to hold to that. It doesn't mean you are loud or belligerent - quietly determined people achieve much more than shouters do in the end. It's time to think about your priorities and your beliefs - take ownership of them and then be determined to live with the consequences. Sometimes you may even lose a friend or two, but if your heart and mind are at peace then you are in a good place and sacrifice can sometimes be a part of that journey. See you next time for the continuation of Positive Personality Traits - E is for Eager. A very good thing to be! Hi Stranger I am here catching up. I love binge-reading I get a whole bunch at once. Hope you're doing good my friend. Sorry I've been away so long. thumbs up for these wonderful lines..
" Sometimes you may even lose a friend or two, but if your heart and mind are at peace then you are in a good place and sacrifice can sometimes be a part of that journey." thanks Sue - I think quietly determined people often have the strongest values and a quiet confidence that I really like. Leanne, this is so true! Like the saying,empty vessels make the most noise....the silent determined ones are working away while the shouters are just making a lot of noise! Hanging on to one's strengths and beliefs requires a lot of courage as well! It does indeed Kala - quiet determination is such an asset in your character - especially during the tough times. thanks so much - I think quiet determination is a quality all of us benefit from - it means we are confident in our values and beliefs and we're prepared to stand on them. If one behaves as a flag in the wind - floating in the wind's direction - will that person even know who he or she is? unless it is about the ice cream flavour. I agree Emilia - icecream is an emotional decision of the moment :) We're allowed to be indecisive when it comes to flavours - but it's good to stand our ground on issues that engage our hearts. Wonderful post, Leanne. Determination decides half of the success of any task. I love determination. Often, it makes the difference between success and failure. I've seen that so many different times. it does indeed Carol - if you have a bit of backbone and you know what you believe, you can achieve almost anything! Such a wonderful post and a superb choice for D. Here is something I really want to work on strengthening. Most of the time it is directly proportional to your passion towards a goal. But like you mentioned a quiet determination would be such an appealing quality. Right on, Leanne! This is something I'm just learning to do in my late fifties. Know what you believe in and why, say it out loud and stand by it. Good for you for putting this out there for all of us to see and believe. Atta girl! 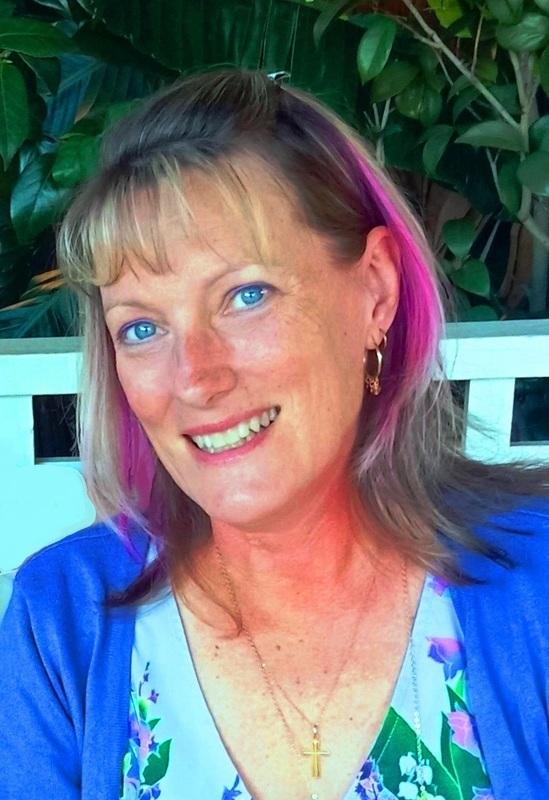 Our 50's seem to be that moment in the sun we've all been waiting for don't they Cathy :) We're finally learning who we are and being confident enough to own it! I do web work for a woman who trains trainers in DISC. It's great stuff to know and makes a huge difference in how to communicate with people. Determination is a great trait to have! it is indeed Gayl :) thanks for visiting! You are so right, quiet determination is such a strong attribute! Determination is so important. It's a perfect fit for the A to Z Challenge, and something that has gotten me through some definite challenges. I'd never really considered determination as a trait or thought about whether I've got enough of it. Thanks for a thought-provoking post. Yes and yes! 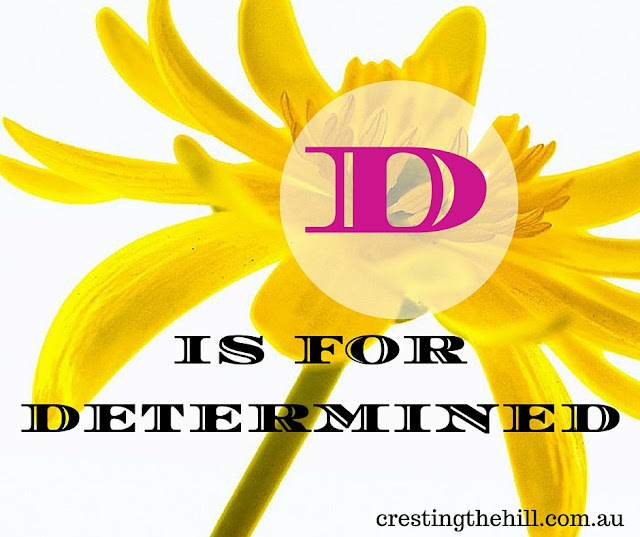 Determined, to me, also means seeing something through to the end - even if it's hard. Like a commitment or learning a new skill. Either way you use it, it is a great personality trait to have! I agree Cathy - not enough people have the stickability now days to see things through - it's definitely something that shows strength of character!